You wear a raincoat for a reason: protection from water. Plain, uncoated, unlined, untreated concrete products need protection as well. XR QuikLiner provides concrete coatings and liners designed to protect and prevent the corrosion and failure of your concrete products. 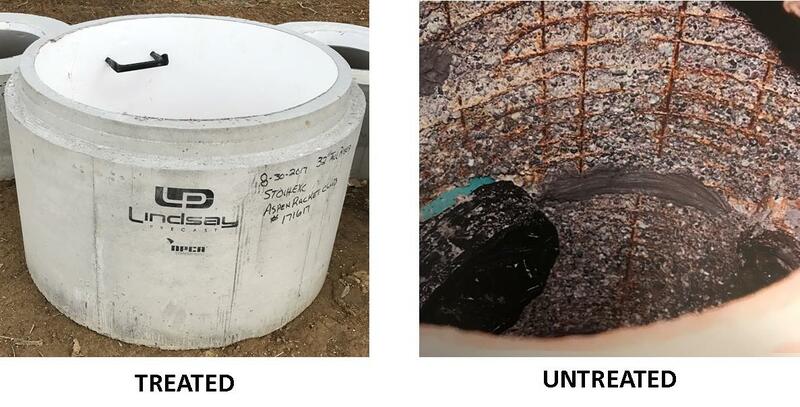 When used versus plain concrete, XR QuikLiner's precast coatings offer a high level of protection against fats, oils and greases, septic tank nasties, and a large variety of chemicals and gases including H2S. Protecting our country's infrastructure is a responsibility and a priority. For more information on our concrete coatings, contact us today. Our products are easy to use, easy to install, and save time and money. Learn what makes XR QuikLiner a cost-effective, custom solution for your applications in our product information sheets.